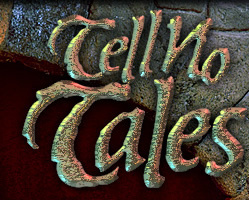 TellNoTales.com makes no warranty or guarantee that this web site will be online at any given time, nor do we guarantee that any particular web browser or operating sysem will be compatible with the page layout or multimedia offered through this web site. TellNoTales.com (TNT) contains many links to external web sites that are not under the control of TNT. TNT makes no warranties or guarantees toward the usability of any outside web site, nor will TNT be responsible for any damage to your hardware or software due to the use of this or any external web site. We hope you enjoy your using our community forums. We encourage your participation and hope you enjoy the collected expertise of hundreds of fans and experts on the topic of Disney's darks rides and theme parks. 1. Membership is required to post messages. When you become a member of the TNT message board, you may receive special notices that may be sent to the membership roster only (if you provide a valid email address). We will collect no personal information about you when you visit our web site unless you choose to provide that information to us. We will not sell, trade, or disclose to third parties any user identifiable information. If you choose to provide us with personal information -- as in an e-mail, or by filling out a form with your personal information and submitting it to us through our web site -- we use that information to respond to your message and to help us get you the information you have requested, or the assistance you requested. The return email address is used to answer the email inquiry we receive. Some cookies may be installed on your computer to enhance your experience from some of our affiliated web sites.